It's easy to go decor-crazy when you're trying to make a space look alive and inviting. A simple solution for filling a void, whether big or small, is a fresh leafy house plant. Cut flowers can get very expensive, so I always go for a sturdy plant especially when it comes to a housewarming gift. If you're on a budget, IKEA has an amazing selection of unique plants and accompanying pots that won't break the bank. Three-step skincare routines have been all the rage for decades, and it seems like the “toner” part has often been overlooked as unimportant. 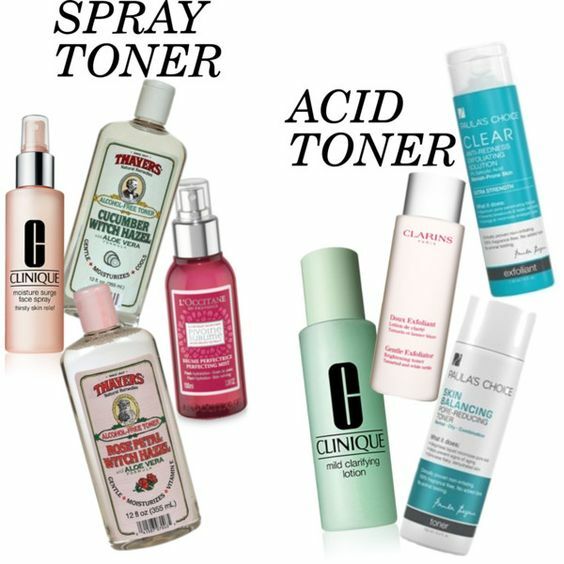 The classic toner is usually alcohol based and removes all dirt and oil in attempts to clear breakouts. But what should toner really do? Multitaskers. Though I love an intricate routine, on those busy days there's nothing sweeter than a one-and-done product. Today I have a shower gel that works equally as well as a shampoo, and an after-shave that has all the benefits of a lightweight moisturizer. Father's Day is this Sunday, and for the special occasion L'OCCITANE has released a brand new collection for all the guys in your life. CEDRAT is a "fresh and masculine fragrance and skincare range" consisting of shaving products, face cream and cleanser, shower products, deodorant and a cologne (shop here). Over the past week or two I have enlisted the help of my product tester Joseph to give his opinion on this luxe duo from L'OCCITANE's mens department. One of the most timeless wardrobe items has to be a crisp white button-down shirt. My favourite style is long and boxy, which can often be found in the mens department. But you don't need to spend a fortune on a good white shirt - browse through the clearance section of a department store, or (for a more economical option) even your dad's closet. When shopping for a white dress shirt, keep in mind that pieces made from 100% cotton get wrinkly and will attract lint like crazy. Try to find a shirt made from a blend of polyester, cotton, or silky modal. This is a great way to show off a beautiful necklace and ensure that the neckline doesn't get too risqué. I also love how this shirt has a tie at the bottom, which would look really cute with some shorts. Most of our skin concerns can be helped or even solved using one simple step: facial massage. Whether it's as a makeup cleanser or a nighttime moisturizer, you will see multiple benefits from a gentle and frequent face massage using oil. A few weeks back I shared my four favourite night creams, while explaining the difference between emollient ingredients versus humectants. Click here to see that post, and read on to discover four of the best daily moisturizers for each skin type. For reference, I have combination-oily skin that tends to get quite flaky and dehydrated. Something like the Embryolisse cream (listed fourth) is a bit too oily for my skin and may clog pores. "Protects and soothes sensitive/reactive skin that's prone to redness. It replenishes and protects skin’s moisture barrier, which greatly improves skin comfort and helps reduce the appearance of facial redness." This is a recent discovery from the Canadian brand Reversa, and I am pleasantly surprised. Though it doesn't diminish redness that much, it seems to be a great moisturizer for my sensitive/combo skin and I love the green tint. A little goes a long way. Note: For those with extremely oily skin, Clean & Clear Dual Action Moisturizer is a cult favourite. Sometimes people with oily skin think that no moisturizer at all is the best option. I would much sooner recommend using a small amount of one of these first two moisturizers, since that will allow your skin to feel balanced and produce less oil over time.